WW1 RAF Senior NCO 1st Pattern Cap Badge Variation circa 1918. A rare and unusual part bullion and yellow cotton embroidered example. 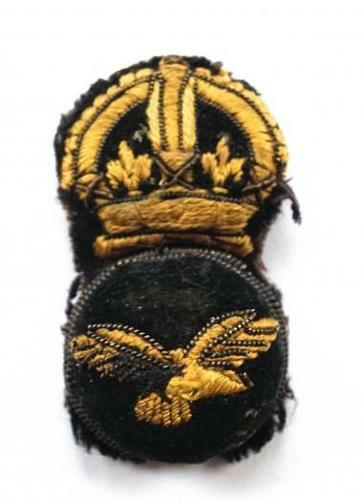 This example with bullion embroidered highlights to the eagle wings and crown. Has been worn some age wear.